Created by Harvard scientists, CoolSculpting is the only FDA approved non-surgical, non-invasive treatment that naturally removes stubborn fat from areas resistant to diet and exercise. 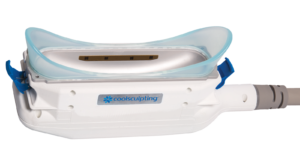 CoolSculpting fat-freezing treatment uses controlled cooling to naturally eliminate stubborn fat. So many reasons to pick Denver Laser Solutions for CoolSculpting, but here are just a few! Women and men’s bodies contoured and shaped the way they want – without needles, special diets, downtime or surgery! Our Denver clients love CoolSculpting for their abdomen, thighs, arms, double chin, neck and more. A consultation is required to determine if you are a good candidate for CoolSculpting, but you can learn more about what makes a good candidate prior to your appointment! During the initial free consultation, we discuss personalize goals, expectations, and areas of the body that can be enhanced and accentuated with CoolSculpting. With this information, we build a personalized CoolSculpting plan for every client. Which area of the body you would like to treat. The size of your treatment area will determine how many placements of treatments are needed. Whereas how much fat in the given treatment area will determine how many individual sessions of treatments may be needed. Some areas of the body require four to six small area treatments just to cover the full area properly, like the stomach. CoolSculpting your arms may only require 2 small area treatments and only one session since this is a less fatty area. For even greater fat reduction and body toning, a second session of CoolSculpting in the same target area may be desired.